The Bahamas is a dream location for a luxury yacht charter vacation if you are considering the Caribbean area. Charters here are well regarded around the world because the Islands offer lovely beaches, beautiful warm safe and shallow waters as well as warm locals. 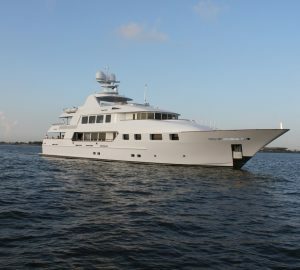 Here are some Bahamas yachts to wet your appetite but contact us for the full list. The Bahamas are made up of more than 700 islands and countless (over 2400) cays to explore and is rimed by one of the world's great barrier reefs. This impressive reef system surrounds the reef-and-key sheltered waters, providing 100 miles of relaxed cruising in the relatively shallow safety of The Sea of Abaco. 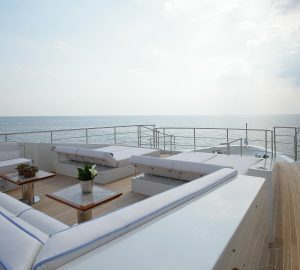 This natural beauty draws in many luxury yachts, sometimes visiting from different parts of the world. "The Bahamas has some of the most amazing beaches and warm inviting water of anywhere in the world. They are simply beautiful." The Bahamian island chain begins with Bimini, just 45 miles from Miami, stretching all the way to the Turks, 500 miles to the southwest. The Bahamas is a brilliant charter location that has either excitement or serenity, depending on your mood, and is also within easy access for both American and European yacht charter vacations. Presently the Bahamas are very popular amongst crewed luxury superyachts, whether the boats are for charter or they are private owners' use. However, back in history, this is where Christopher Columbus arrived in 1492 and has in earlier days been an area sailed by swashbuckling pirates and privateers looking for places to bury their plunder in the many secluded anchorages. In many places little has changed since these early days and the Bahamas still features exceptional sailing on the warm Gulf Stream, turquoise waters and moderate winds. The islands of Bahamas are known for their favourable sailing conditions and the shallow waters in many parts make for an interesting watch of marine life below the surface. Bahamas boast of more than 2,400 cays and this is another reason why you should do your next yacht charter vacation here. The cluster of islands is also home to some of the barrier reefs that are made from a corals formed over several thousand years ago. The reefs offer natural protection from the lashing waves of the open sea and they also provide shelter to many small marine species. 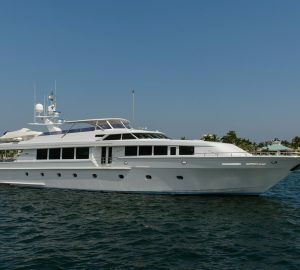 From Bahamas yachts can cruise for around 100 miles right towards the shallow waters of the Abaco Sea. The island cluster of Bahamas begins from Bimini which is 45 miles from the coast of Miami. The cluster then extends to the Turks which is 500 kilometres distance. If you are looking for a serene place to spend your yacht holidays then Bahamas is a great choice. The location is such that it is easily reachable from most of the US coastal cities. It can also be accessed easily from the charter destinations in Europe. As mentioned before, Bahamas consists of more than 700 islands and a total of 2,400 cays. There are so many things to do and explore in the Bahamas while on your Bahamas yacht vacation. You can go for deep sea fishing and also include a day tour of Nassau. Shopping is perfect at Bay Street along with an exciting night at a casino. The Bahamas has some of the most amazing beaches and warm inviting water of anywhere in the world. They are simply beautiful. Perhaps one slight drawback is that some of the most alluring are relatively shallow. 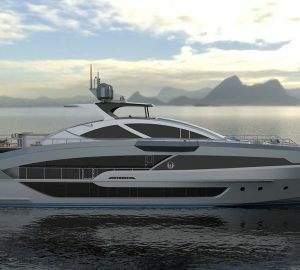 Larger private luxury yachts can be slightly disadvantaged as a result and may have to anchor well of shore or avoid certain particular areas. This makes shallow draught boats the ideal way to see the islands. Catamarans make an ideal choice of boat to rent, if you love sailing, as they don’t have the deeper keels of larger sailing yachts. Shallow draught motor yachts are also able to charter well here. There are some larger catamarans available as well as different superyachts that visit the island chain each year. The Arawak people originally settled the Bahamas. The islanders are well known for their laid-back friendliness and hospitality, to this day. Before or after your yacht charter, inland you can see the Sunbury Plantation House which is a great Jacobean mansion that was built in the days when sugar was king and a cottage was the size of a castle. Also you can whet your whistle at the well-known Mount Gay Rum Distillery, where you can sample the many varieties of the island's most famous libation. When it comes to natural wonder the Barbados has plenty to offer. You can explore Harrison's Cave, a unique phenomenon of nature, where colossal stalactites hang from the ceilings, stalagmites thrust up from the ground, and streams of crystal-clear water drop from breath-taking falls into emerald green pools. At Orchid World, the meandering paths are abundant with Phalaenopsis, Cattlyeas and Dendrobium orchids, while Andromeda Gardens showcases some of the island's rarest tropical ferns, heliconias and cacti. At Whim Gully, examine closely the bearded fig tree from which the island is believed to get its name. Nassau, a bustling town on New Providence Island and the capital of the Bahamas is the place to yacht charter if you like action and great nightlife. It has an enviable array of restaurants, glitzy casinos, and sophisticated hotels. Nassau is also a great base for your private yacht with its ideal beaches, Atlantis, the mega-resort and marina, traditional British Colonial architecture and Paradise Island. Paradise Island is connected to New Providence by two bridges and has marina facilities. Eleuthera is a 100-mile narrow island with late-1700s architecture and famous pineapple plantations. Harbour Island, Eleuthera's neighbour, is styled in Georgian architecture and the Spanish Wells community in the north is known for good fishing. Southeast of Eleuthera lies Cat Island - the "high land" of the Bahamas. Eleuthera is also a popular yacht charter vacation destination and features high cliffs and an obvious link into a long past civilization. 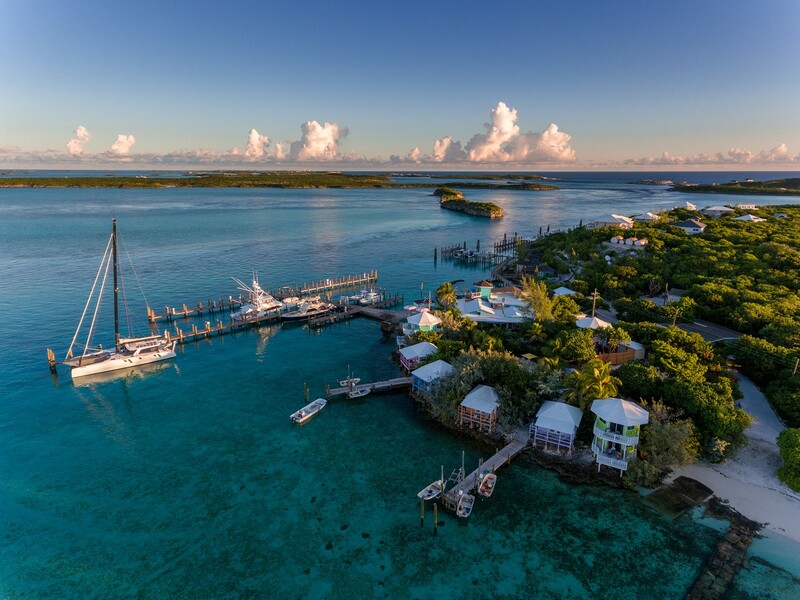 The Exumas, which straddle the Tropic of Cancer, are recognized as the sailing and yacht charter capital of the Bahamas, with 365 cays that appeal greatly to sailors. The types of yachts available for rental in the Bahamas are all the main types including various types of motor yachts, sailing yachts and catamarans. One great thing is the fact that the Bahamas yacht charter season and general holiday season can be viewed as essentially all year round! Bahamas are a cluster of small islands. They form an integral part of the yacht charter itineraries in the Caribbean. The holiday resorts in Bahamas are the other attractions that pull people from all over the world to rent luxury yachts and enjoy magnificent vacations. Bahamas is known to have a very tourist friendly location. It is just at a distance of 100 kilometres from the state of Florida in the US. Hence every year it receives thousands of people from US world who marvel at the natural sightseeing attractions. The climate is relatively favourable throughout the year and this is another reason why it is one of the favourite destinations for renting luxury yachts. The Bahamas are famous as tourist destinations and there are several reasons for this fame. Bahamas has pearly white beaches with soft sand. The ocean is so untouched by human civilization that in many shallow parts you will be able to see the sea floor. Bahamas is literally known as a veritable ecological oasis as people here believe in conserving the natural eco system of the region. The cluster of islands offer practically unlimited yacht packages that range from one day to several days. For several day packages there are a lot of relaxation options and sightseeing attractions on the way. This venue has excellent holiday resorts right on the beach. These holiday resorts have the most modern amenities in their rooms and from your room balcony you can marvel at the ocean. As a start point, here is a selection of Bahamas yacht rentals for you to browse. For information on all the charter yachts here and in the Caribbean, please contact us here. In close proximity to the Bahamas are a number of exciting sailing destinations.